Kristin von Kreisler, a full-time Bainbridge Island resident, is a writer whose stories and observations about animal behavior have won world-wide acclaim. 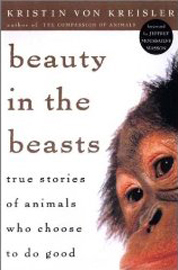 Her writings combine provocative scientific findings with a compassionate understanding of animals. 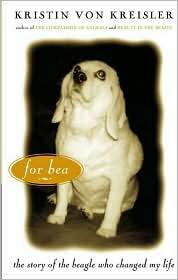 Books by Kristin von Kreisler includeThe Compassion of Animals: True Stories of Animal Courage and Kindness, Beauty in the Beasts: True Stories of Animals Who Choose to Do Good, and of course her incomparable For Bea: The Story of the Beagle Who Changed My Life, a touching account of the author's fifteen years with her dog, Bea, a refugee from an animal research laboratory.